We are becoming an increasingly paperless society. We pay our bills online, get our news off of our phones and e-mail and text messaging are the far superior option of communication to the ancient act of writing a letter. There is one product in our society that has maintained its position in its consumer’s minds and even increased in value through the years: baseball cards. My family has owned Sports Heroes, a baseball card and memorabilia store in our hometown, since 1988. When my father opened the store 30 years ago, everybody collected baseball cards. During this time, vintage cards from the 1950’s and 1960’s began appreciating in value to astronomical levels as the saying “My mother threw out my baseball cards” became a well known phrase. Because of this, card companies during the late 1980’s and early 1990’s began the mass producing of its yearly sets in order to meet demand. Everyone held onto their baseball cards because they thought that they would become just as valuable in 20-30 years. Since everyone thought the same way, however, this dream never materialized and a majority of cards produced during this era hold very little market value today. When my father opened his store, there were a plethora of different companies producing baseball cards: Topps, Upper Deck, Leaf, Score, Fleer, Donruss etc. Each company would produce one set per year, but once the 1990’s and 2000’s rolled around, all of the companies started producing multiple sets each year, flooding the market with variety for consumers. This changed in 2009 when Topps signed an exclusive contract with Major League Baseball to become its exclusive trading card partner. Topps was now the only company that could produce baseball cards with licensed MLB team names and logos. The deal was an initiative by both Topps and the MLB to redirect the industry back to kids and make it easier for the MLB to align with one singular card company. As a stipulation to make the industry less confusing for collectors, Major League Baseball does set a cap on the number of products that Topps can release per year. This deal also came at a time in which Topps recognized that it needed to regain market share in a drastic way. The community of baseball card collectors was not as big as it once was in the booming 1980’s. By becoming the MLB’s exclusive baseball card, Topps no longer viewed its competitors as the other trading card companies. Instead, its competitors were all of the activities that had taken the place of baseball cards: video games, movies, TV shows, etc. 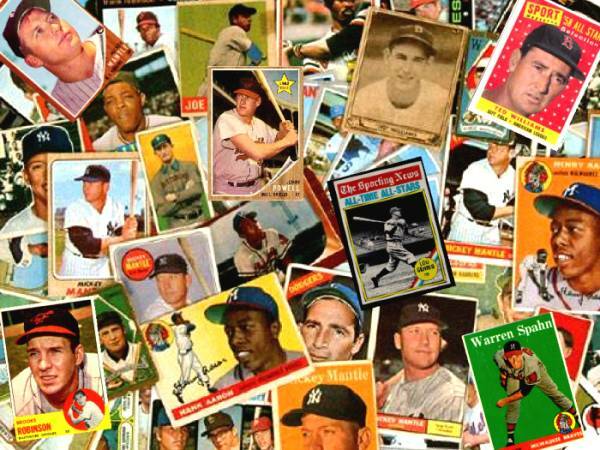 In an increasingly paperless and digital society, Topps had to reengineer its business model in order to keep collectors interested in the hobby. While Topps’ is a private company and does not release its financial metrics publicly, its agreement was extended with the MLB through 2020 before the 2013 season, showing that it has been successful in its endeavor. So how exactly has Topps been able to achieve this success? Having first hand experience in my father’s store over the years, I have compiled a list of initiatives and practices that I think highlight Topps’ attempt to transform itself in the digital era. In 2016, Topps unveiled a new set called “Topps Now”, which could only purchased through Topps.com. The concept of the set was simple. For each day of the 2016 MLB regular season, Topps would produce cards for special moments or player milestones that would occur. These cards would then be available for sale in its online store for 24 hours only. The cards were $9.99 each, but collectors could receive a discount if they purchased multiple cards. After the 24 hour purchase window closed, Topps would release the print run (number of cards produced) for each card, allowing collectors to gauge the card’s possible value on the secondary market. Cards are shipped to collectors 3-5 business days after the purchasing window closes. 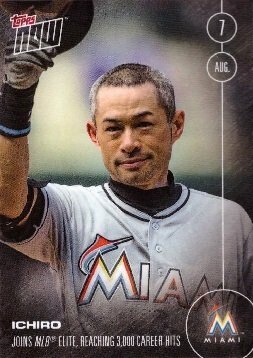 In 2016, the highest selling card commemorated Ichiro Suzuki’s 3,000th hit, in which Topps sold 11,550. The set was so well received in 2016 that Topps brought it back in 2017 and are doing so again in 2018. The company also extended its production through the MLB postseason and even produced cards for high-profile trades and free agent signings in the off-season. The popularity of the Topps Now set in 2017 was greatly helped by Aaron Judge’s rise to stardom. Judge had the highest selling card this past year (16,138), as well as the next three highest selling cards, all of which were all purchased over 8,000 times each by collectors. In total, over the first two years of Topps Now, Topps has sold over 1 million cards. In our present day in which people value social media posts as precious keepsakes, Topps has found a way with Topps Now to monetize immediate moments for collectors who still love handheld keepsakes. Topps director of e-commerce Jeff Heckman said, “It’s pretty cool to have something physical, something tangible…you kind of want to touch and feel something and have a tangible reminder that you can keep forever.” Topps has made this set truly a community endeavor for collectors, as they can use the #ToppsNow hashtag on Twitter to nominate player’s that they believe should be featured on a Topps Now card the next day. Topps has done a considerable amount of marketing to collectors regarding its online exclusive sets. The draw for Topps to heavily invest in its online sales is that is allows them to bypass selling their products wholesale to distributors or directly to hobby stores. This allows them to print to order, allowing them to lower their production costs and maximize their profit per set. While Topps Now is Topps’ most well known online exclusive set, it is not its only successful product released strictly through online distribution that debuted in 2016, as Topps also debuted the Throwback Thursday set two years ago. Each Thursday, a 6 card set is put on sale for $19.99 and is available for sale for one week only. The set each week features players on a popular throwback design. The print run of each set is released when the purchasing window ends, just like Topps Now. Because collectors cannot buy individual cards within the 6 card set, this idea has not been as popular as Topps Now, but the exclusivity of the one week purchasing window still makes it a must-have for some collectors. Just a few weeks ago, Topps unveiled its newest online exclusive set: The Topps Living Set. The concept behind this set is that it does not have a definitive end and is not tied to a particular year or season. The set began two weeks ago when Topps put on sale Cards #1-3 ($7.99 each or $14.99 for all 3). Like the Throwback Thursday set, the Living Set cards are only on sale for one week only. Players in the Living Set will not be featured in the set again unless they change teams. The cards featured hand-drawn artwork by Mayumi Seto and are modeled on the design of the 1953 Topps Baseball Set. Aaron Judge’s Card #1 in the Living Set sold 13,256 cards. Like any business in today’s digital world, Topps has needed to develop its own social media presence in order to stay in touch with the modern collector. Its Twitter account currently has 116,000 followers, and I have been pleasantly surprised with how much the account interacts with its followers. Since the beginning of February, Topps has released three baseball products, and with the release of each product, there has not only been a buildup to the release day, but on release day it encourages collectors to share their favorite cards from their packs on Twitter. The Topps account then retweets the best replies, which allows collectors to see more content from a given product. Topps’ Facebook page currently has over 165,000 likes. While a lot of the content is replicated from Twitter, one of Topps’ most popular social media posts are its box break videos. In a box break video, a Topps employee will open a full hobby box of a particular product. These videos are usually released on the day of when a product comes out, and they allow collectors to preview a product before deciding whether to purchase it or not at a local hobby store. As a side note, in the video below you’ll notice that the basic Topps set now includes player’s Twitter handles on the back of the card. While baseball cards aren’t conventionally thought of as being digital assets, Topps attempted to change that notion with Topps Bunt. Originally released in 2015, Topps Bunt is a digital trading card game app available on Apple and Android devices. The digital cards that you own on the app gain and lose points everyday depending on that player’s performance on the field. Collectors can buy, sell, and trade the digital cards within the app, which makes it a blend of old-fashioned card collecting and fantasy baseball. The release of the app with each new season coincides with the release of the physical Topps Bunt set. In the physical Topps Bunt packs, collectors can find randomly inserted code cards that unlock special digital cards within the app. Topps Bunt was designed to get young kids interested in collecting in a more interactive way. As a disclaimer, I felt that as a person who works in a card store, I should understand how the Topps Bunt app works in case I am asked by a customer. I spent half a day playing around on the app trying to figure out how it worked and I was absolutely lost. I understood the concept and thought that it was pretty unique, but I could not figure out how to use it, which left me wondering how Topps expected it to be usable for kids. Considering that the Topps Bunt Twitter account has close to 20,000 followers and the app is releasing new sets of digital cards at the rapid pace, the game appears to have a loyal following. While Topps’ business is still based around paper, its means of distribution and ability to promote product awareness have become increasingly digital. As a hobby store, my family used to receive tons of promotional paper materials for upcoming products to either hang in our store and or pass out to customers. All of that content has now shifted to digital, as we either receive a PDF file from Topps via email or see the same stock photos that our customers find on Facebook and Twitter. Recently, Topps has created a Facebook page strictly for hobby store owners to communicate amongst themselves about industry trends. It is also on this forum that Topps now provides us with high quality images to use to promote products in our own social media posts or email newsletters. As someone who has an invested interest in the stability of the baseball card collecting industry, I have found it interesting to watch as Topps has tried to increase its digital presence over the years. What puts the company in a unique situation is that the value of its product comes from being able to touch and feel the card, which is something that can’t necessarily be elicited through a tweet or a Facebook post. I do think, however, that the digital age has prompted Topps to put more thought and effort into designing cards that are visually appealing in a digital landscape and in-person, and that is something as collectors we can all get on board with. As a baseball fan, I found this blog fascinating! It is such a great example of the challenges but possibility of maximizing digital for a product whose value comes from its tangibility. I love that you have such a connection to the topic because of your family’s store. I think it definitely gives you a unique perspective on the industry. I am impressed with Topps’ ability to integrate digital into their strategy and that they seemed to have recognized this need pretty early on. When I first started to read your blog, I thought it was going to be more along the lines of the app or ways they have moved towards putting baseball cards online. As I read, I realized a lot of their efforts to utilize digital revolve around marketing and selling physical cards online. I think this is an important distinction because I, and I am sure others, go immediately to how companies can use apps, VR, or AI to integrate digital into their strategy. It speaks to the importance of companies evaluating how digital fits with their strategy rather than just trying to use as much digital as possible. It seems Topps has done a great job using digital to enhance their core strategy which revolves around their baseball cards. As a person who still has multiple folders filled with baseball cards sitting in their basement and a dad who has muttered the phrase, “my mother threw out my baseball cards” hundreds of times I really enjoyed this post. This blog gave me an extremely unique perspective into an industry that I thought quite frankly was dead. Topps is certainly headed in the right direction into digital media but I think they need to focus more of gaining the next wave of collectors and instilling that childhood excitement that came with trading cards with friends into consumers. I believe Topps still needs to find the balance between card decks directed towards kids and old time collectors. Their app idea is a great start but with the addition of something like in app rewards or other tangible objects to gain besides digital cards it will draw younger customers in with a greater passion towards trading. The last thing a company attempting to become younger wants is the image of older people using their products, this is a sure fire way to keep kids away yet Topps seems to have recognized that early on and made advancements in order to disprove that idea. I’d like to direct a question back to you and ask as person who is so well versed in this industry do you think that Topps is doing enough to stay afloat or do you think they need to gain a larger social media following in order to stay relevant. Really interesting post Dan I enjoyed it a lot! I think that Topps’ is doing relatively well in growing the popularity of its brand, but its social media presence still has room to grow. One of the difficulties for a company like Topps in the sports card industry is that the age of its median consumer is high and in an age bracket that is not necessarily well versed in these platforms. Because of this, there is a cap with who Topps can reach by posting about products on Instagram/Facebook/Twitter. Topps, like any other company, will benefit when its stars perform. For example, 2017 was one of the hottest years for baseball cards since I’ve been alive due to the rise to stardom of Aaron Judge. The only issue is that Topps can’t control who performs well on the field, which is where the effectiveness of their social media tactics to keep collectors interested will play dividends in the long run. This was a really interesting article! I also thought, like Katie, that this blog would be about how baseball cards had shifted online through an app or something similar. It’s great to hear that they have managed to adapt to the digital changes without compromising their business entirely. I really like their idea of the Topps Now series. Of course, their app makes sense and I think it seems necessary to have ready an aspect of their business that could adapt to a future where everything finally is digital. However, this idea seems far off yet. For now, their Topps is a great approach to draw customers in quickly and securely. I think the short buying window really caters to people’s impulse and encourages them to buy so as to not miss out on the opportunity. Their smart business strategy paired with their integration of social media use has really allowed them to remain competitive. I enjoyed your post, Dan. I never got into collecting sports cards when I was a kid so as an outsider it was cool to learn a bit about the history of the industry and where Topps is taking it. To me it seems the Topps Bunt game app has the most potential for pulling in and engaging the younger generations. As a card and memorabilia store owner, how does your dad feel about Topps Bunt? It seems good for boosting the appeal and interest in baseball cards, but at the same time is cutting out the middleman store owner. Is the randomly inserted code cards enough to entice people to buy the physical Topps Bunt packs? It will be interesting to see how this industry continues to transform, especially given the declining popularity of baseball. My dad loves the physical Topps Bunt set because of its low price point, but he knows absolutely nothing about how the digital app works, mainly due to the fact that I couldn’t even figure it out myself. I don’t personally feel that Topps Bunt has a place in the hobby in the long run because it takes out the aspect of collecting that people enjoy, which is tangibly holding a card in their hand. I was hesitant to include Topps Bunt in my post in the first place, but I eventually decided to put it in because I thought it was important to show that the company is experimenting in this arena. Topps does have Topps Bunt-like apps for other sports (NFL and Soccer) so the company is definitely investing resources in this technology. In terms of our store and our clientele, we don’t have a huge calling for the digital app. Kids tend to buy the physical Topps Bunt packs because of its low price point rather than the possibility of getting a code card to be used on the app. Goes to show how little I know about this hobby. Thanks for the additional info, interesting stuff! Wow. What a great post. I always love when students come up with new topics that I haven’t seen in 7+ years. Just reminds you of the breadth of impact on digital disruption/ transformation.